Are you part of a creative and high-performing team? Reward them and continue to develop their interpersonal communication skills by inviting them to partake in Zest’s Art Team Building Workshop – Team Canvas. 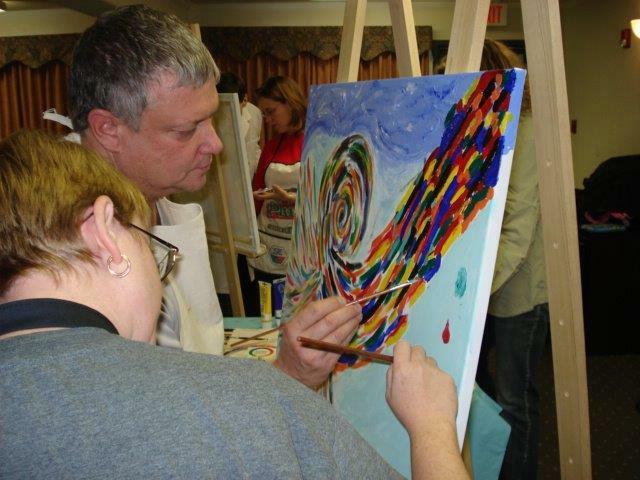 Facilitated by professional artists, your team will learn the basics of painting with acrylic paints to create a work of art that team members will be proud to hang on the office wall. 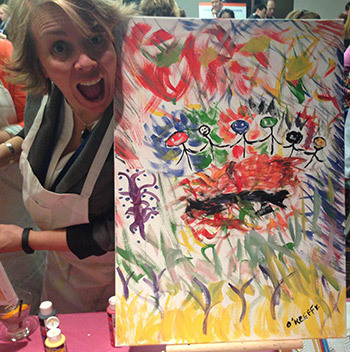 This art team building activity promises to create a unique bonding experience that your staff will remember for years to come. Work independently or in small groups. 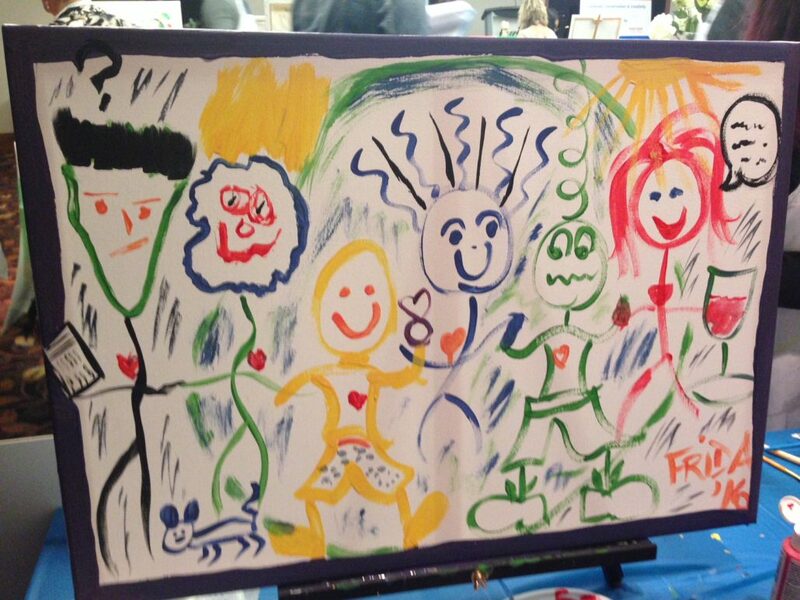 Some groups have even painted a mural using several canvases which really stresses teamwork, communication, and a shared vision. The team canvas event is an extremely flexible program. 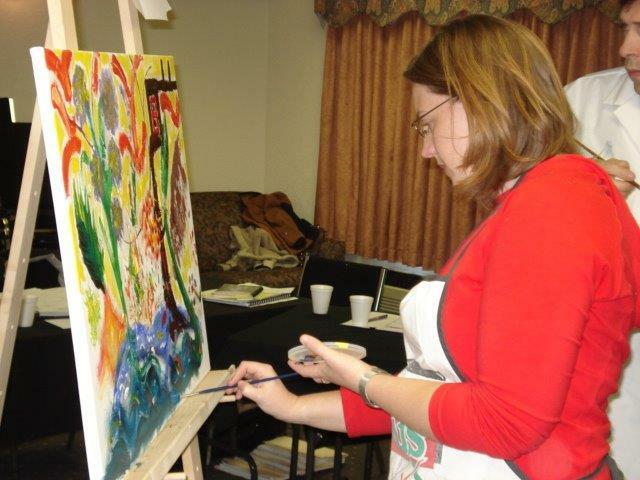 By increasing the number of canvasses used we can accommodate any number of participants. This program can be delivered indoors or outdoors in any space that is large enough to accommodate the painting canvasses required. 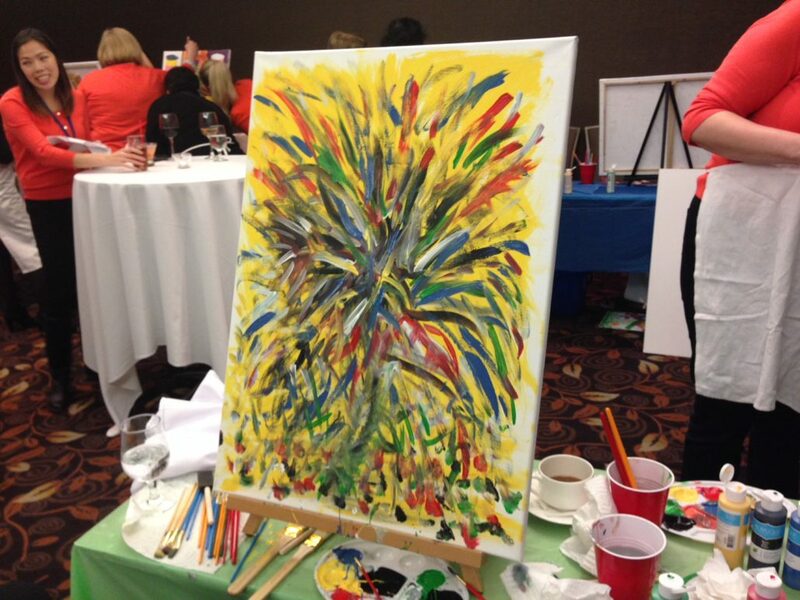 You are also able to auction and raise funds for your local charity by auctioning off your own pieces of art!